I love traveling. Much. It has always been a great experience to go around places, explore the place, learn new cultures, know the people and taste the foods. I never miss out an opportunity then I get to travel around. I have gone far and wide and have great experiences all around the world. The feeling is overwhelming. And recently one such opportunity hit me. This time the destination was Kerala and I wanted to cover some of the best places to visit in Kerala. Though I have done solo trips to a few places, I wasn’t sure about a female solo trip to Kerala but as I reached everything changed. My solo trip to Kerala will always be the most cherished one. My trip was during the months of November, December and January and I think this is the best time to visit Kerala. It is not just about the place but also the people, the great food and their wonderful and beautiful diverse culture. It is not every time there is a great experience with lots of learning and fun but in Kerala it was wonderful and I came back with the trunk of memories and never-ending craving to go back to place over and over again. When it comes to female solo trips there is always a question of safety and security and that is why I would suggest Kerala for every girl out there because of this place insecure and one of the coolest and safest places to travel. The people in Kerala welcome everyone with an open heart and they do not judge us no matter how we are and that is one of the best things about this place. Be whoever you are and whatever you want in Kerala and enjoy this place because it is one of the best experiences you will have in India. 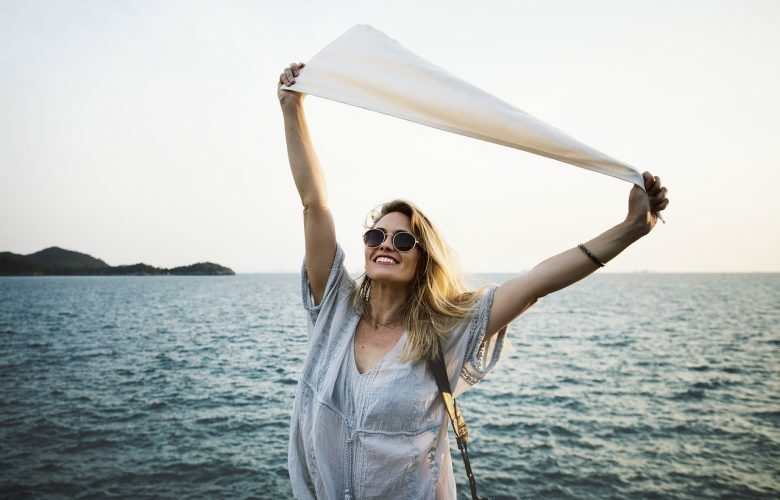 The major thing that everyone looks for when going for solo trips is making sure that the place they go is wonderful but for women, we also have to look for the safety and the situations of the place. It is true that we get insecure and it is also necessary to make sure that we do not go to a place where we feel uncomfortable. No one wants to go tripping at a place where they feel terrible and that is why it is necessary to do proper research before deciding on a trip. Now that I have been to one of the best places in the world I can assure you that Kerala is a great place for women to go on a trip or a solo trip. I would love to share my experience and the places to explore in Kerala with all of you and I’m letting you know that do not fear; Kerala is a beautiful place with beautiful people. Though I have been in and around Kerala through this solo trip, I like to share my experience in five places which blew my mind. These places are Munnar, Thekkady, Varkala, Kovalam, and Alleppey. Ladies and girls if you are really in need of a getaway or a great adventure you should definitely take a solo trip to Kerala and explore these five places which can give you a lifetime of memories and great learning. It definitely creates a feeling deep inside which will forever make Kerala special. A female solo trip to Kerala is the right decision I made and I suggest every other girl take up the decision to explore and learn the culture of Kerala and the wonderful places in Kerala by taking a solo trip to Kerala. Munnar is all about green. 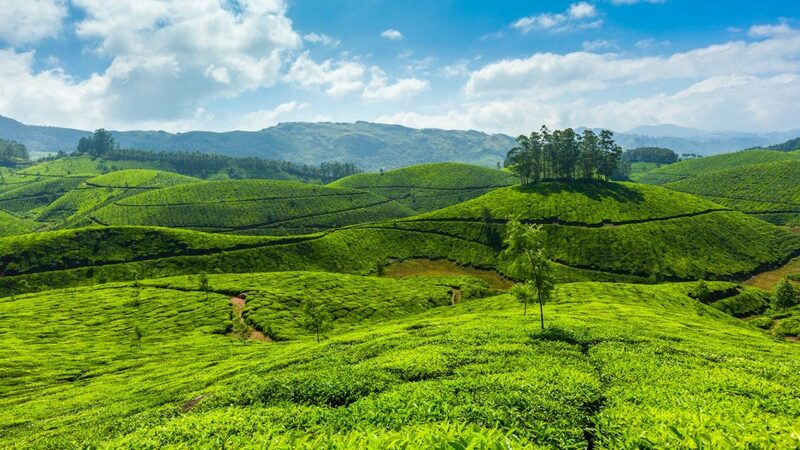 The green plantations stretched far and wide, the mountains which are a backdrop to the place, the hilly areas the calm and beautiful lakes the Rocky areas, the tremendous waterfalls are what makes Munnar beautiful and gorgeous. Munnar is one of the places in Kerala which is the most sought out by tourist and is one of the best places in the country. It is not just about the beautiful and breathtaking scenery but also the activities in Munnar which makes this place a great one. The major places to explore in Munnar are Pothamedu View Point, Anamudi peak, Lockhart gap, Tata tea museum, Kolukkumalai tea estate, Blossom Park, Kundala lake, Marayoor Dolmens, Chinnakanal waterfalls, Attukal waterfalls etc. Anamudi peak and Pothamedu View Point are best known for the adventure sports like trekking, Rock climbing etc. The waterfalls in Munnar are so gorgeous. They fall from great heights and gives the viewers a fabulous sight and experience. The waterfalls mostly situated either on the go of the road or in between dense forest and tall trees. The cool atmosphere and the cold climate also gives chills along with a wonderful experience. The tea plantations in Munnar are awesome. The land spread with green with the Aroma of tea leaves is totally mind-blowing. The lakes in Munnar give the best water rides and also have great scenery with all the mountains and hills and tall trees in the backdrop. Another specialty of Munnar is that it gives the best Kerala food. I was so overwhelmed with the food I was given. The traditional food served with so much love and concern not only made my tummy happy but also filled my heart. Munnar also has great spas and therapies which is so wonderful. I took a week to stay in one of the resorts in Munnar and enjoyed their natural therapies and spas. It not only made me feel physically better but also made my soul so carefree. I would definitely suggest spas and therapies of Munnar to everyone. The reason why Munnar is apt for female solo trips is that the place is so welcoming and gives a lot of space for women. No one stares or gazes and there are no hardships for women in Munnar. You can walk around us people what way to go, what to do and if you want you can even get yourself a personal guide. It’s one of the safest places in Kerala. With the beautiful scenery and great adventure sports, I don’t think Munnar should be missed by anyone. Kovalam is in Thiruvananthapuram, the capital of Kerala. Kovalam is well known for its beaches. It is a beach town and is one of the best beaches in Kerala. The ambiance the people everything is wonderful about Kovalam. Kovalam was a great experience for me as the place was calm and serene. The major attractions in Kovalam are the lighthouse beach, Samudra beach and Hawah beach. The view of the beaches in Kovalam mesmerizing especially during evenings and nights. The other places in Kovalam which offer a great experience are the Karamana river, Vellayani Lake, Kovalam Art Gallery, Neyyar Dam, Thiruvallam Parasurama Temple, Aruvikkara Dam, Valiyathura Pier, Vizhinjam Rock Cut Cave Temple, Halcyon Castle, Sri Pathmanaba Swami Temple, etc. What makes Kovalam suitable for female solo trips is that the place always encourages women empowerment and also is so welcoming. Women are safe in the capital of Kerala. Moreover, the traveling experiences for women in Thiruvananthapuram are outstanding. Personally, I felt like home when I was in Thiruvananthapuram exploring Kovalam. If you need a really good getaway to a beautiful serene location but with aspects of the city then Kovalam is the right choice. I stayed in Kovalam for about 2 weeks because I felt so lazy to leave the place because it was that comfortable. So ladies out there do not waste much time get yourself all you need and leave for Kovalam. It is definitely a grand experience. Varkala is another beautiful experience in Thiruvananthapuram. The place is well known for its beaches and the Cliff and the awesome cafes. My personal experience in Varkala was quite mesmerizing. The place gains life at night. the mornings in Varkala are really beautiful but the real deal is all about the night. The cafes and shacks in Varkala are open throughout the night and the place gives kind of a Goa experience. This is also one reason why Varkala is the best place for women to go on a solo trip. The people are cool and the accommodations are excellent. And Talking about food it is the best. The major attraction of Varkala also includes the Janardhana Swamy temple. The view of Varkala from Varkala Cliff is the most breathtaking one. Personally, it is my favorite of all the five places. Thekkady is a major attraction in Kerala and going on a solo trip to Thekkady was wow. It not just about the place, but also the experience that earned. The weather, the place, the people, the activities, the food, everything was totally worth it. Boating, rafting elephant rides are a major attraction of Thekkady. The nearby places of interest also include Periyar National Park, Anakkara, Murikadi, Chellar Kovil, Mangala Devi Temple, Pattumalay and Pattumalay Tea Factory, etc. Thekkady is best for women as it is a great tourist attraction. The place gives a wonderful experience and the people are so good. The food in Thekkady is quite great. They serve the staple food of Kerala and also the major dishes of the state. It is mouthwatering and I drooled over it. Alleppey is well known for the backwaters and trust me it is quite mind-blowing. I had a great great great experience in Alleppey. The major attraction of the place is the houseboat rides. They have this variety of houseboats rides which is too good. 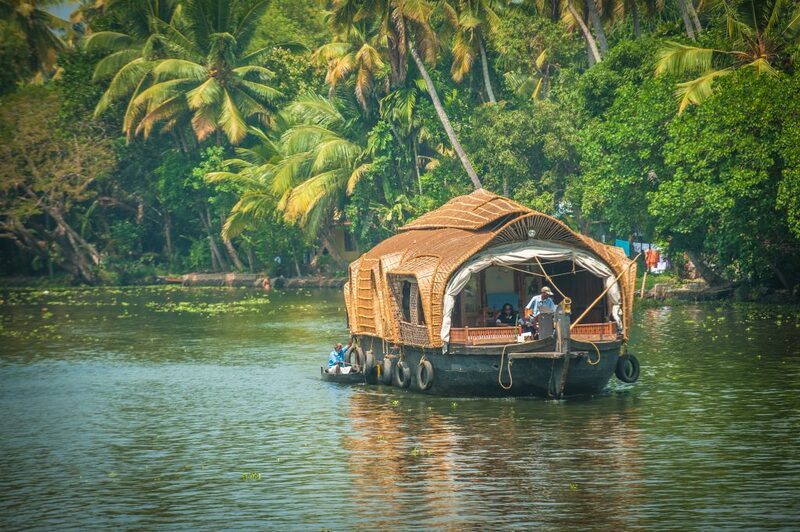 The houseboat rides give us the sightseeing pleasures and also the best cuisine of Kerala. Being at the houseboats was a tremendous experience. I felt so great with the lovable nature of the people in Alleppey. I felt so good that I wasn’t feeling insecure at the houseboats and it was almost like home. Marari Beach is also one of the attractions in Alleppey. Other attractions also include Vembanad Lake, Vembanad Lake, and Nehru Trophy Snake Boat Race. The food served at the Alleppey houseboats, it is something I can never stop talking about. It was so mouthwatering. The spicy Kerala food swept me off my feet and to this day I’m still craving for it, especially, the seafood. Good Lords! It was heavenly. And talking about desserts, I don’t even know what to say! Perfect! That’s the word. Desserts were perfect. Alleppey is that one destination which has a beautiful and serene lake with a beautiful green background. It is one of the peaceful experiences that I had in my life. So ladies and girls, do not wait much. And do not wait for anyone either. You can pack your bags, get your stuff, and make your route to Kerala. It is definitely a place which is best for women to go on solo trips. The facilities offered at the places in Kerala are quite good and I never had a bad experience. The services are also great. you do not have to worry about anything when you are in Kerala. Ladies are given lots of respect and they want people to try new things and therefore being a solo traveler to Kerala gains you a lot and a lot of respect. The people in Kerala are so friendly and welcoming that even if you need any help, they’ll be available anytime. Before starting your solo trip to Kerala make sure that you have everything you need with you – things to meet your basic necessities. you can buy the things from Kerala but then it is always good to have your own few handy things which will always be helpful to you. If you are planning to stay in resorts or hotels make sure that you contact respective places prior to your visit so that you can reserve your accommodation. Checking with the hotels, spa centers and other places where you are about to visit will always keep them acknowledged about your visit and timings which will ease up your traveling and tripping. I’m so glad I could make it to Kerala and I’m looking forward to more experiences and explorations in Kerala. I just can’t wait to get back to God’s own country and relax my body and soul. The experience in Kerala is priceless.